1. You have a million doubts. That's how it starts off. All those questions come up; will the teachers be good, will I like the people I'm with, will I like the country I choose to go to, am I good enough to become a teacher, what if I hate it? I made a conscious effort to trust myself. Then I did a ton of research, and picked the program that best suited my needs and budget. 2. You're nervous. After I signed up, got accepted, paid my deposit, and received my first informational e-mail is when I really started freaking out. They recommend practicing 6 times a week? It's only vegetarian food the whole time? They want me to send the rest of my payment to a bank account in Thailand?! Okay, deep breaths here. 3. You actually get on the plane and go. I flew over 20 hours to get to Bali, and the journey had a few bumps along the way, but hey! I made it! By the time I got to the retreat I was exhausted and overwhelmed. 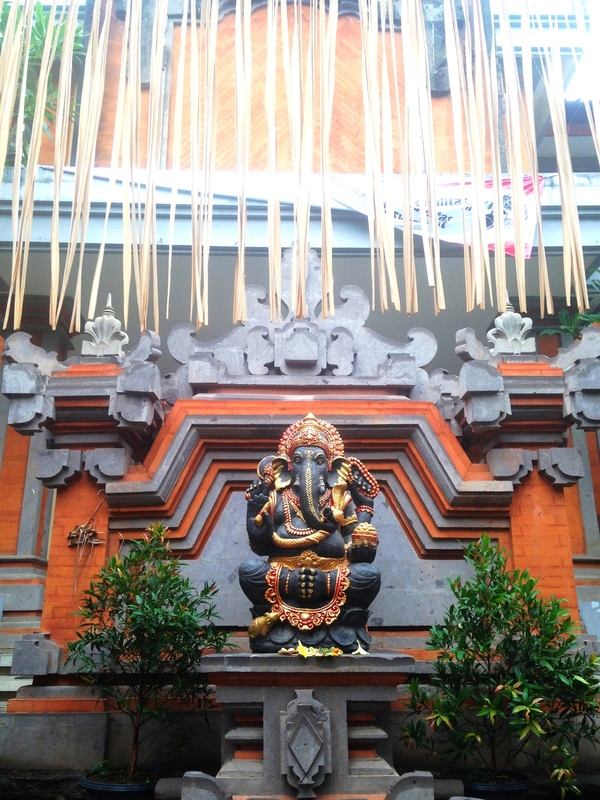 Bali is so beautiful, and my new home was no exception. 4. You make friends. All the people in my group came from all different walks of life, from all over the world and were all different ages and races and genders. We spent the next month together, eating, sleeping, breathing, and sweating with each other. I realized I had nothing to worry about. Most of the people in my group were not vegan or even vegetarian. We were at all different levels of our yoga practice. Despite our differences there was immediately a feeling of connection even though we didn't know each other yet. 5. You yoga like you've never yoga-ed before. I thought I was pretty good at yoga before I did my teacher training. I was wrong. I was such a newb. I learned a million things on my first day that I had never learned in 8 years of practicing yoga. And it. was. awesome. 6. You think your body is going to actually fall apart. Oh my God, I have never been so sore in my entire life. After the first day I could barely lift my mug of tea. After the second day I wasn't sure if I would ever be able to move my neck again. I actually got less flexible as the week went on. I woke up on the third day and couldn't even touch my toes my hamstrings were so sore. At my first massage I literally moaned out loud when she pressed on my biceps and back. I started walking around like an old woman. 7. You suddenly get better at yoga. After the first week was over and we had one day off, I got further into pachimotanasana than I have ever gotten. I began to find that sweet spot in my arm balances. I was still sore; in fact I think I was sore the entire month of training, but I could feel myself getting stronger. 8. Your fellow trainees transition into Yoga Friends. All those people I met on the first day? After the first week we were talking about our poop schedules. We immediately accepted each other in all our weirdness. We started making inside jokes. We went into town and geeked out about spirulina and raw vegan energy balls. We had deep talks about life, we sang and danced and laughed and expounded about how lucky we were, and how much we loved each other. 9. You cry. Like, all the time. Every single person in our group of 23 people cried at least once in the course of our month together. And I don't mean sad crying, although that definitely happened as well. First you cry out of exhaustion. Then you cry out of frustration with your body. Then you start crying because you love everyone so much and you've never felt so accepted and cared for in a group of people before. You cry because emotional, traumatic things come up in meditation. You cry from laughing so hard. And finally you cry because you don't want to leave all these beautiful friends you've made. 10. You learn EVERYTHING. Everything about yoga that is. I learned every sanskrit asana name in the full primary series. I learned about the 8 limbs of ashtanga yoga, about yoga philosophy and Hindu gods and goddesses. I learned about the chakras and ayurvedic practices and anatomy and how the muscles work and proper alignment for every pose, and how to modify every pose. I was filled up to the brim with knowledge by two of the best teachers I've had. 11. You fall in love with your teachers. I don't mean in a romantic way. In a 'you are an amazing person' way. I'm pretty sure everyone in my group fell in love with our two beautiful teachers. They are wonderful, truly authentic, and mind-blowingly good at yoga. They took us on adventures, talked to us when we needed advice, and taught us everything we know! 12. You graduate. I left my teacher training with more knowledge about yoga than I know what to do with. I studied anatomy, philosophy, history, alignment, how to modify, how to teach, everything I needed to know to go out into the world and be a yoga instructor. On that last day, we were all so proud of each other, so happy to be done, and so sad to be leaving. 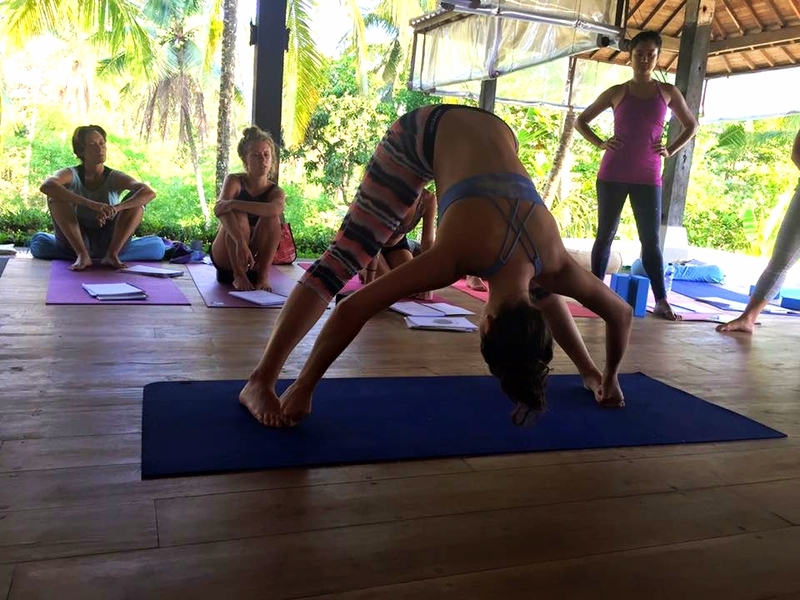 My yoga teacher training was the best thing I've ever done. I was pushed, and challenged. My body was put to the test. It was hard, but it was also so rewarding. I grew as a person and learned so much about myself. I felt perfectly authentic in my teacher training, and it's not a feeling I will soon forget. If you're thinking about taking this adventure I would highly recommend All Yoga. They have programs in Thailand and Bali. Ask me any questions below!